 Are you ready to Explore Squamish? Squamish offers endless options for both leisure travellers and adventure seekers. Within minutes you can ride world - class mountain bike trails, hike in Coastal rainforests, climb one of the largest granite monoliths in the world, kiteboard, windsurf, kayak, paddleboard, and depending on the season, snowshoe and ski tour into the pristine backcountry. Less than an hour from both Vancouver and Whistler, Squamish is a unique fusion of rugged landscapes, stunning vistas and West Coast culture. Located halfway between downtown Vancouver and Whistler's high alpine, Squamish is where the ocean meets the mountains in Sea to Sky country. stunning vistas come together to create memorable adventures. If you are planning to drive yourself, get ready for the drive of a lifetime. It's a short 64 km drive from Vancouver, and the hour long route is one of the most scenic drives in the world. Highway 99 was upgraded for the 2010 Olympic Winter Games and is a state-of-the-art highway featuring improved sightlines, 80 km of new passing lanes, wider shoulders, median barriers, and improved intersections, not to mention look-outs with amazing views of Howe Sound, mountains and glaciers. If you're not driving to Squamish, there are a number of ways you can get here. Alpine North Limousine offers on-demand luxury transportation to and from YVR and other destinations within the Sea to Sky corridor. Relax and enjoy the most convenient & stress-free way to get to Squamish, their team of friendly, local chauffeurs will pick you up and get you to your destination on time. SkyLynx offers daily shuttle service between Squamish and YVR. Travel in style in a high-back seat with individual temperature control, ample leg room and storage for your bags and gear. Their Vancouver pick-up location in the Hyatt Regency Vancouver Hotel, right beside the Burrard Skytrain station 655 Burrard St, Vancouver, BC V6C 2R7. Drop off and pick up in Squamish is at 1170 Hunter Place Squamish BC V8B 0G8. Tickets must be booked in advance with a credit card. Squamish Connector offers commuters daily non-stop service between Squamish and downtown Vancouver and connecting to YVR. The Squamish Connector departs daily from the Squamish Adventure Centre. Tickets for the Squamish Connector can be purchased directly from the Visitor Information Counter at the Squamish Adventure Centre in person, online or over the phone with a credit card. Call 604.815.5084 or 1.877.815.5084 for ticket information and purchasing. BC Connector offers daily shuttle service between Vancouver, Squamish, and Whistler. Travel in style in a high-back seat with individual temperature control, ample leg room and storage for your bags and gear. Their Vancouver pick-up location is at Pacific Central Train Station. Seats must be reserved in advance, but payment can be made to the driver by Cash or Credit Card. Tickets can be purchased at the Squamish Adventure Centre by Credit Card only. Squamish Shred Shuttle offers summer and winter shuttles from Squamish to Whistler. In addition, the shuttle service also includes a summer mountain bike shuttle that will pick you up and drop you off at Squamish's mountain biking hot spots. Squamish has it’s own municipal airport and water access for float planes. Flights between Squamish and Vancouver, Vancouver Island, and all over BC may be arranged through the various flight companies directly. Flight times for custom flights are flexible and pricing depends on the destination. Passengers traveling by ferry to and from Vancouver Island or the Gulf Islands have the option of two portals. Tsawwassen Bay (south of Vancouver) and Horseshoe Bay. Horseshoe Bay is just 40 minutes south of Squamish on Highway 99 and 20 minutes north of Vancouver. Ferry schedules and other ferry information can be found at on the BC Ferries website or get information by calling 1-888-BC FERRY (1-888-223-3779) from anywhere in North America or 250-386-3431 from outside North America. Please visit www.busonline.ca for all the local transit route, schedule and fare information. Squamish Transit accepts Cash Fares ONLY - Please have exact fare ready. Drivers can not make change. You can buy your tickets or passes at City Hall, 37955 - 2nd Avenue. Or at Brennan Park Rec. Centre, 1009 Centennial Way. Passes only - available at Walmart, 39210 Discovery Way. Squamish, with its far-ranging network of roads, widely dispersed communities and innumerable tracts of wilderness, offers a multitude of opportunities for human and wildlife interactions. While this is a wonderful opportunity for learning to appreciate the natural world and its inhabitants, not all encounters are mutually beneficial. Wildlife-Human conflicts occur in both urban and rural areas and range from nuisance encounters, to attacks on humans, pets and livestock. The best solution to wildlife-human conflicts is prevention. An effective prevention strategy focuses on managing wildlife-human contacts where they happen. Before you head out for your next adventure be sure you know how to minimize the risk of a wildlife conflict and what to do if you do encounter wildlife out in the backcountry. Squamish is home to bears, coyotes, cougars, elks and eagles which makes human-wildlife encounters nearly impossible to avoid. The key in minimizing human-wildlife conflicts is prevention. Do your part in minimizing your risk of human-wildlife conflict by knowing what to in a wildlife encounter. Prevent encounters with bears while out on the trails. Check out the following videos to learn more. For additional information, have a look at the following links. Be Prepared When Fire Season Heats Up. Do not discard cigarettes and matches from vehicles or off your balconies and decks. Do not burn open fires or barbecues if there is a campfire/barbecue ban in the area or in windy conditions. If barbecues are permitted, do not dump hot coals. Ensure they are completely cold before dumping them in the garbage. If campfires are permitted always ensure there are adequate people, water & shovels on site to control flames AND ensure fire is extinguished completely before leaving the site. Be careful when touring with All Terrain Vehicles (ATVs or dirt bikes - their exhaust systems produce an enormous amount of heat and can ignite brush). Take the time to become fire aware: check for advisories on highway signs, radio and newspaper, call the 1-888-3-FOREST fire information line, with pre-recorded updates on wildfire locations, smoke advisories, wildfire hazards and campfire restrictions. Obey all backcountry and trail closures and fire bans. For more information visit FireSmart Canada and the BC Wildfire Branch. NO ONE EVER expects to get into trouble outdoors. But, a turn in the weather, mistake in judgment, unexpected injury, equipment failure, or sudden nightfall can quickly change any recreational outing into a crisis. Sunny skies, warm breezes and lots of daylight make it easy to get outside and play! Please get outside and enjot all that Squamish has to offer but get informed before you go.